ConAgra Foods has appointed former senior executives at Nestle and Kraft to its board, just three weeks after activist investor Jana Partners took a 7% stake in the US food group. The firm has named Brad Alford and Tim McLevish to its board. Alford is the former CEO and chairman at Nestle USA and has 35 years of experience in the consumer foods and packaged goods industry. McLevish is the former CFO and executive vice president at Walgreens Boots Alliance but spent seven years at the former Kraft Foods Group and Kraft Foods Inc before joining the drug retailer. He has over 15 years of experience in leading the finance organisations of large public companies. Barry Rosenstein, managing partner of Jana Partners, said the two brought "fresh perspective and unique insight to the company". 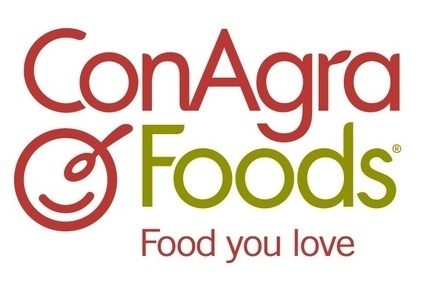 "We are very optimistic about the outlook for ConAgra Foods as the company explores all options to create shareholder value." At the end of last month, ConAgra announced it would sell its own-label business after it once again hit full year-operating profit with a drop of 290.1%. Sean Connolly, who became CEO at ConAgra earlier this year said: "It has become clear the time and energy the company is devoting to the private brands turnaround represent a suboptimal use of our resources. To prevent further distraction, we are pursuing the divestiture of our private brands operations." Reports today in circulation suggest ConAgra has hired Centreview Partners to exmplore a sale of Ralcorp Holdings, which it acquired two years ago. Reuters, citing people familiar with the matter said Goldman Sachs has also been hired to provide additional advice on the sale.